Meet your neighbor Ashley Day of Blandinsville. Ashley was born on September 28, 1993 in Macomb. She is the daughter of Ray and Carla (Smith) Day. Both of her parents were raised in Stronghurst and graduated from high school there. Her grandparents, Carl and Patricia Smith of Macomb, also were from Stronghurst. Ashley graduated from West Prairie High school in 2012. She now attends Spoon River College. She has been working at the Country Cafe in La Harpe now for over two years. 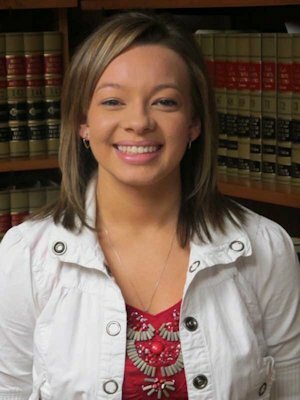 She also works at the Rasmussen and Dittmer Law Office in La Harpe. Her hobbies include shopping. She is a member of the La Harpe Christian Church. She has 6 siblings. Lacey, 17, Kaley, 16, Ro, 14, Angel, 3, Samuel,2 and Nathaniel, 1 year.